The matches will be played on May 23 and 25 respectively. The eleventh edition of the Indian Premier League (IPL) is currently underway and the tournament is already halfway through. 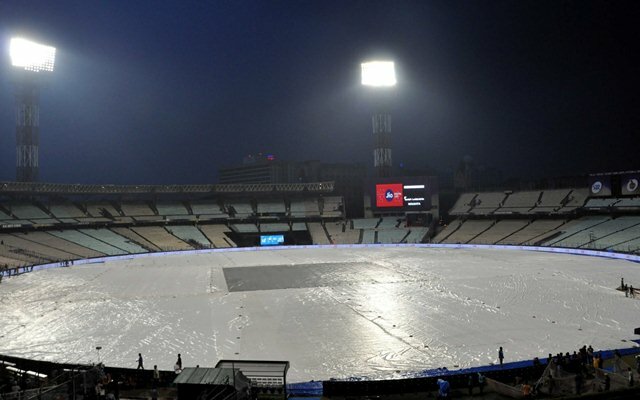 A few days ago, the Maharashtra Cricket Association (MCA) Stadium in Pune was allotted the home games of the Chennai Super Kings (CSK) after the Cauvery Water Dispute (CWD) issue forced their home matches to be shifted out of the Chepauk. The Eliminator and the second qualifier was also scheduled to be hosted by the venue. However, the games have now been moved to the Eden Gardens in Kolkata as per reports in News18. Rajiv Shukla, the chairman of the IPL governing council confirmed the news. The matches will be played on May 23 and 25 respectively at the iconic venue. Avishek Dalmiya, the joint secretary of the Cricket Association of Bengal (CAB) sounded delighted on the opportunity. We are happy to host the play-off matches and are looking forward to it,” Dalmiya mentioned. The Wankhede Stadium in Mumbai will host the Qualifier 1 and the Final on May 22 and 27 respectively. The MCA Stadium was previously the host of the Rising Pune Supergiant, who was led by the enigmatic Mahendra Singh Dhoni. The IPL authorities contemplated several venues for the CSK after which they zeroed in on Pune. The decision has paid off handsomely for them as the love and support for them hasn’t diminished one bit despite the change in venue. Moreover, the Chennai franchise organized an entire train for the fans by the name of WhistlePodu Express in order for them to visit the stadium. Also, free accommodation, food and complimentary tickets have been provided to them. MS Dhoni’s men are most likely to qualify for the playoffs and Pune won’t have the privilege of watching India’s favourite son take the field in the crunch matches. Stay updated on every ‘cricket news‘ and developments with CricTracker.com.